Your new EasyDrop Drop-Off service is now ready and available to use for all of your favourite destinations. You now have the choice of saving the time spent waiting around for courier collection by simply dropping your parcel/parcels to your nearest local drop-off point. We will locate your nearest drop-off point when you choose the EasyDrop on our booking system at Worldwide Parcel Services. Local drop-off (service points) are available at grocery stores, stationers and other local commerce hot spots in your area, all over the UK. The EasyDrop service from offers quicker and cheaper parcel services, with service from one of the world's leading courier services. Whether you are sending a parcel to Spain, Japan or the USA, the EasyDrop services are a new choice, built to help you save on time and money with Worldwide Parcel Services. 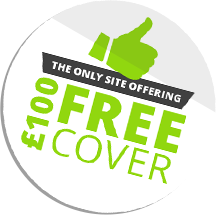 We have a wide range of collection services as well as drop-off services, which have been ever present with our customers over the years. Depending on your chosen destination, we have around five excellent collection services, laid on by some of the biggest courier names in the world. You can choose from various collection services for road and air from DHL, Interlink Express, etc,. What services are available for EasyDrop? Air and Euro Road services are available for drop-off. How many service points are there in the UK? Currently, there are over 900 access points in the UK - this number is set to grow, meaning more local access points for you. Where are my local service points? Your local access points are situated in various places, including grocery stores,stationers, newsagents etc,. Just enter your postcode when booking and the nearest drop off points will be displayed. How much time will the service save me? The drop-off services available can save up to 1 day on normal WPS services. 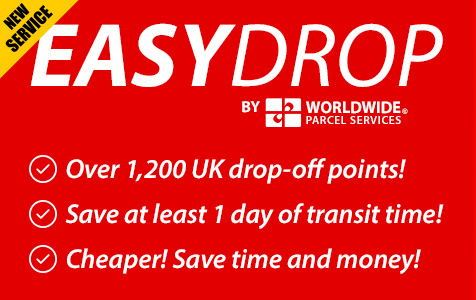 What destinations are available for delivery with EasyDrop? Almost everywhere! The drop off service type will appear when you get your next quote with Worldwide Parcel Services today as long as your parcel fits the weight and size criteria. Will I need ID when dropping my parcel off at an access point? Yes, you must provide at least 2 forms of ID when doing so, such as utility bills, Driving licence, Passport, etc. How big and heavy can my parcel(s) be? The maximum weight your parcel can be is 25 kilos, with a maximum length of 60cm and a maximum girth of 200cm.